Elite KL Ltd operates a combined Quality Management and Environmental Management System that is independently certified to BS EN ISO 9001:2008 and BS EN ISO 140001:2004. 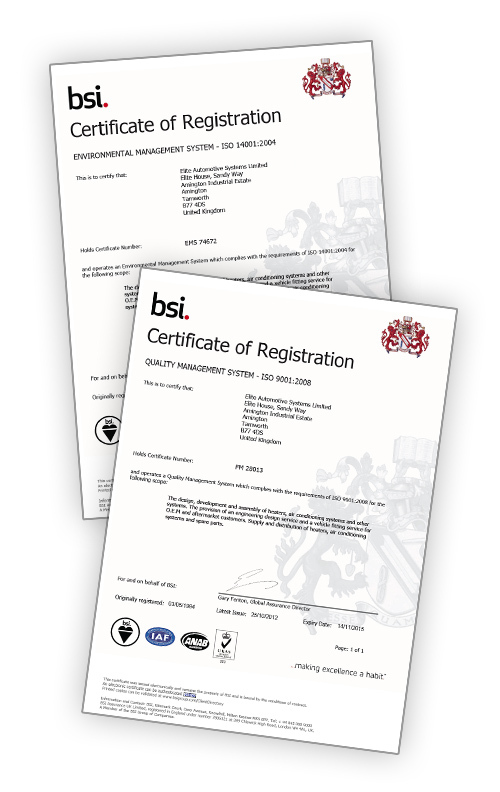 Elite KL Ltd works within the Safety Management System described within BS EN ISO 18001 and in addition we are assessing the changes required to become RISAS accredited. We consider good product quality and reliability as vital to our success, and our continuous improvement strategy is led by our General Manager with the support of our senior level Quality Manager and the rest of the team. – 100% product EOL testing where appropriate.